Consider if you will that you are a patient with back pain. You have had pain for a while and have several questions like how long is this going to last and how do I get better? This type of pain does not radiate into your arms or legs. This is called axial back and neck pain. You notice that it can get worse with movement like bending forward, backward, or with rotation of the head or lower back. 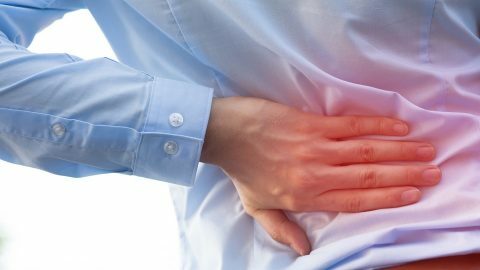 If this pain just started or you have had it for less than 3 months then do some conservative treatment like physical therapy, chiropractic care, and add core strengthening exercises especially for lower back pain and you will likely get better. If you have tried these conservative things and you still have pain then try to consider that you probably have a pain generator that is causing your pain. This concept of a pain generator is not new. In fact, this concept has been around for decades. Various physicians have performed injections that were able to isolate and identify the cause of pain in people with chronic low back, thoracic, and neck pain. By targeting a specific structure in the back or neck these injections were either able to temporarily take away the pain that a person normally has or were able to exactly reproduce the normal pain that a person has. So what does this mean? It means that pain comes from only a few sources on most people and is simple to identify. The sources of pain can be divided into a region such as the lower back, thoracic, and cervical spine. The other grouping of people with pain are the people that had surgery and have hardware in their back or a fusion was performed. This needs to be done before treating the unknown. Remember that most MRI scans show normal age-related changes and do not show the source of pain. Confirm the source of pain before considering surgery. If this isn’t done first then you might be upset when you have now had a surgery that you thought was going to fix the problem only to find out that the problem or pain generator never was confirmed before you had surgery. This group of people had some type of back or neck surgery. If a decompression, hemilaminectomy laminectomy, or microdiscectomy was performed then standing AP and lateral flexion/extension xrays are needed to make sure there is no instability. Occasionally a CT scan is needed to make sure that a pars defect wasn’t caused by the surgery. A MRI scan with and without contrast of the operative area can help identify if there is ongoing nerve compression, infection, cysts, or other causes of back pain. This group of people has pain longer than 3 months, has failed physical therapy, chiropractic care, and core strengthening. There are only 3 common causes of low back pain, 3 causes of thoracic pain, and 2 causes of cervical or neck pain. Generally, all three areas have normal mri scans with no signs of fracture, tumor, or infection and probably show normal age related degenerative findings like disc dehydration, bone spurs, and facet arthritis. If you don’t have radicular arm or leg pain, numbness, weakness, or neurological symptoms then it’s generally ok to disregard the mri findings of small disk herniations, slight foraminal or central canal stenosis while you focus on working up the back and neck pain. Working up the source of pain also depends on the findings of your physical exam. Pain commonly comes from the facet joints, disk space, and sacroiliac joint. Facet based pain is most commonly worked up with L4/5 and L5/S1 medial branch blocks. Disk based pain is worked up with a discogram on the degenerative(dark) disc spaces. Sacroiliac joint pain is worked up with sacroiliac joint injections (therapeutic/somewhat diagnostic) and L5 medial and S1/2/3 lateral branch blocks. Thoracic disk herniations can commonly cause back pain with or without pain radiating around the side of your chest. This is often diagnosed with a thoracic transforaminal injection. Facet joints can cause pain and are evaluated with medial branch blocks. Disk based pain is evaluated with a discogram. Facet based pain is worked up according to whether it is upper, middle, or lower. Two or three joints are usually evaluated with some overlap in the levels tested. Upper neck pain is usually the C2/3 and C3/4 facet joints. Middle neck pain is usually C3/4 and C4/5. Lower neck pain extending into the scapular/shoulder blade area is usually due to C5/6 and C6/7. Facet based pain is treated with either an ablation or endoscopic nerve transection. Disk based pain is usually evaluated with a discogram testing the degenerative (dark) disk space levels. I usually treat disk based pain with a cervical disk replacement. This helps to preserve normal range of motion and does not have the increased risk of a patient needing more surgery at adjacent levels like a fusion. Two medial branch nerves innervate each facet joint. Therefore, testing lower back pain from the L4/5 and L5/S1 facet joints would involve testing the L3/L4/L5 medial branches. Three nerves innervate two joints. This test is repeated and if positive twice, then either a rhizotomy (radio frequency ablation) or endoscopic nerve transection is performed. A rhizotomy typically provides pain relief for 6-18 months and an endoscopic nerve transection typically lasts for many years. A rhizotomy can fail to injure the medial branch nerve if there is an aberrant or abnormal medial branch, bony overhang or thick ligament covering the medial branch. I have identified all these reasons for a failed rhizotomy when performing an endoscopic medial branch nerve transection after a rhizotomy was attempted. A discogram is performed on the degenerative levels and a normal level above and below the degenerative levels. This test increases the pressure in the disk space trying to cause reproduction of your normal or concordant pain. Surgical treatment based on these results typically involves either a disk replacement or a fusion. A disk replacement is a great option for most people and depends on disk space height and whether there is instability. If pain improves 50% or greater at the time of a sacroiliac (SI) joint injection then your pain may be due to the SI joint. If this test doesn’t identify your pain then testing to see if the pain from the SI joint is “posterior mediated” or travels along the posterior sensory nerves is tested by performing a L5 medial branch block and a Sacral 1/2/3 lateral branch block. If this test is positive then it is repeated to rule out a false positive result and if both tests are positive then either an ablation or endoscopic nerve transection is performed. An endoscopic nerve transection should theoretically provide longer pain relief than a rhizotomy. If you have one of these conditions and would like to discuss your situation, schedule a free MRI consultation today and explore your pain-relief options. Next Can Laser Treatment Help Spinal Stenosis?